The National Football league is a founding partner of the Korey Stringer Institute. 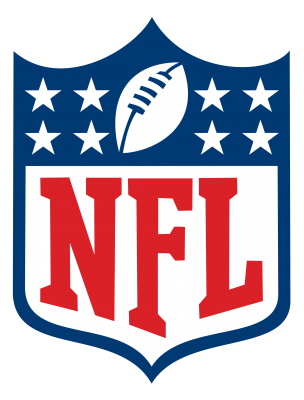 The NFL supports multiple player safety initiatives for athletes of all levels. For more information on the NFL’s Health and Safety Initiatives, visit NFL Evolution. Gatorade is a founding partner of the Korey Stringer Institute. 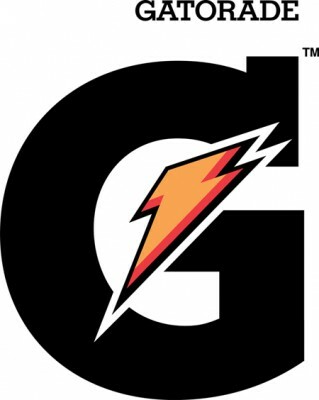 Gatorade and the Gatorade Sport Science Institute continue to search for and study new and innovative ways to help athletes improve performance by facilitating proper hydration and nutrition. From the lab testing of athletes, to new flavor and delivery system development, to the publication and distribution of scientific research, the Gatorade Company and GSSI perpetually strive to advance their collective mission on enabling athletes to always perform at their peak. The National Athletic Trainers’ Association (NATA) is the professional membership association for certified athletic trainers and others who support the athletic training profession. Founded in 1950, the NATA has grown to more than 35,000 members worldwide today. The majority of certified athletic trainers choose to be members of the NATA – to support their profession, and to receive a broad array of membership benefits. The mission of the National Athletic Trainers’ Association is to enhance the quality of health care provided by certified athletic trainers and to advance the athletic training profession. See the NATA’s page, Solutions for Athlete Care, for more information on one of KSI and NATA’s joint initiatives. WE ARE OBSESSIVELY INNOVATIVE. We are forward-thinking inventors who value creative, unconventional ideas and unusual solutions to common problems. We seek new ways to do things and are not afraid to take risks. WE GIVE A ____. We are fully dedicated to what we make, how we make it, and for whom we make it and the way it impacts people’s lives. REST STOPS ARE OVER-RATED. We push to be first, but must also be the best. We get excited about winning and taking on seemingly impossible challenges. We prefer not to coast, draft, take the easy route, or sit still. PEOPLE INSPIRE US. Passionate people make superior, meaningful products. We are inspired by one another and the diverse missions, passions, and stories of our customers. Nielsen-Kellerman is committed to ensuring that people know the weather and environmental conditions that impact their health, safety and bottom line. NK’s Kestrel meters are rugged, accurate, fully calibrated, portable, affordable and easy to use. NK also believes that American manufacturing is a key to quality and reliability, so every Kestrel meter is made in the USA. KSI uses these wet bulb globe temperature thermometers to determine environmental conditions during research studies both inside the heat chamber and in field studies.Visit Kestrel’s page on heat stress to learn more about safely working or exercising in the heat. Mission has a dual mission. While delivering world-class innovations that meet the unique needs of an athleticlifestyle, Mission also makes an impact off the field of play through the M Foundation, which promotes the health and safety of youth athletes, and simultaneously recognizes and awards high school athletes that give back to their community. Heartsmart.com is one of the largest privately owned Automated External Defibrillator (AED) companies in the industry. For years, the company has led the market with its “one-stop” shop strategy which provides clients with convenience and access to all major AED brands along with accommodating value-added services. Members of heartsmart.com’s team are CPR/AED certified and are knowledgeable and ready to consult all levels of client experience. From lay responders to medical professionals, years of involvement in the industry has gained heartsmart.com both the expertise and proficiency to recommend appropriate products based on the type of application. Heartsmart.com not only leads the industry in AED sales, but also in customer service. The company’s primary objective is that the client’s needs and expectations are met in a timely and professional manner. Heartsmart.com’s excellence in customer service has secured the company both trust and respect, and the company continues to thrive as one of the largest AED companies in the industry. Eagle is a specialty pharmaceutical company focused on developing injectable products, primarily in the areas of critical care, orphan diseases, and oncology. Our goal is to provide safer and more convenient solutions for patients and healthcare professionals with optimized formulations. We develop proprietary enhancements to FDA-approved drugs utilizing the 505(b)(2) regulatory pathway. This strategy expedites time for development, FDA review, and approval. We further seek to extend the patent life of our products through orphan drug exclusivity, new intellectual property protection, and/or 3 years of non-patent regulatory exclusivity. HQ Inc. develops temperature pills are used by the Korey Stringer Institute during research studies to determine internal body temperature to ensure our participants do not become excessively hyperthermic. They are easy to use, valid and reliable.